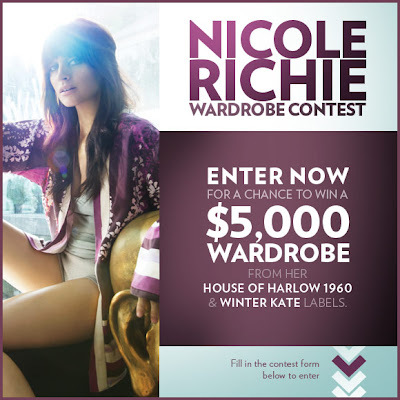 Fashion magazine are giving away $5000 worth of Nicole Richie's fabulous designs from her Winter Kate collection and House of Harlow closet. Click Here to enter the Nicole Richie wardrobe contest. The only downside to this contest is that it is only open to Canadians, but if you live in Canada this great news for you!